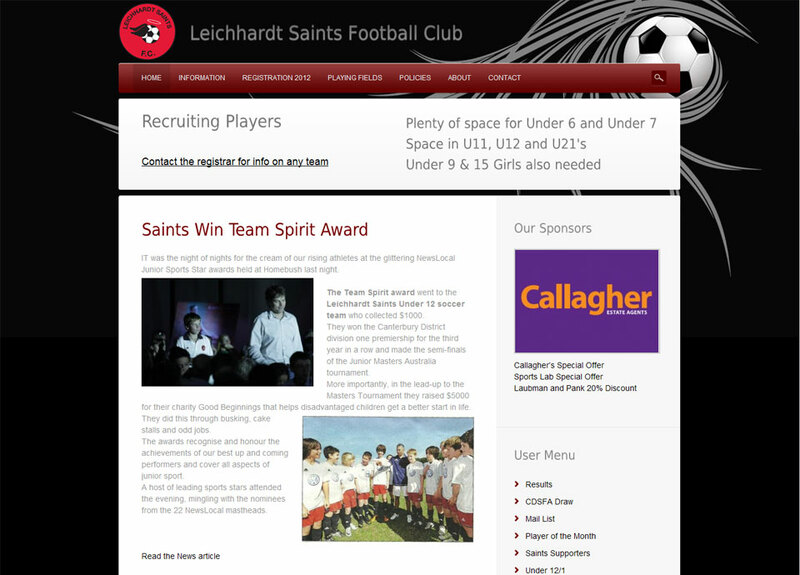 Leichhardt Saints Football Club is a junior soccer club located in the inner west of Sydney. I run this site for my son’s former club in my spare time. The current version uses a modified premium theme installed on WordPress. The use of a CMS for this site allows the club to take more control of the site; club committee members can update the site directly.